Have you ever wondered what the effects of water pollution on the environment really are? Have you heard the environmental impacts of water pollution being tossed around in conversation without a lot of detail? Do you want to learn more and maybe even get involved fighting back against the environmental effects of water pollution? If so, you’re in the right place. In this article, you’ll learn about the effects of water pollution on ecosystems, from animals to plants to the air, and how that can harm humans as well. You’ll discover thirteen different ways water contamination is leading to the environmental pollution of water in places around the world, and you’ll find out just what this means too. By the time you’ve finished reading this article, you’ll be able to see the chain reaction of water pollution from start to finish. You’ll see how the effects of surface water pollution and groundwater pollution start with humans and quickly damage the fish, birds, and animals that rely on sources of clean water in nature. From there, you’ll see how plants and even the soil can be damaged, and how pollution moves into the atmosphere before affecting humans once again. If you’re ready to learn, read on to find out everything you need to know about water pollution and its effects on the environment. Did you know that mercury buildup in water supplies is a very real problem? Many different types of industrial sites produce mercury as a byproduct while they are in operation. When this happens, the mercury can easily run into groundwater and even surface water without being detected. Mercury poisoning can be very dangerous to children and the elderly, and it may be incredibly problematic for women who are pregnant. It can lead to central nervous system damage and even failure, as well as birth defects in unborn children. Mercury in water can be reduced if industries are held to higher standards of environmentally-safe practices and better work to ensure they prevent runoff. Animals: Mercury in water can poison fish, which in turn may poison other animals that eat them, as well as humans. Farm animals and even pets that drink water contaminated with mercury may suffer the effects of mercury poisoning, including damage to the central nervous system. Land and Plants: Plants exposed to high levels of mercury over long periods of time may suffer and die from an inability to properly process their nutrients. Water: The water itself must be filtered very carefully in order to remove all mercury buildup. Unfortunately, even some city water sources show high mercury levels. Air/Atmosphere: Mercury isn’t able to be detected in the air. Toxic runoff has a lot of different causes, and unfortunately, it has a lot of different effects as well. Both industrial waste and waste from dumping (illegally or in landfills) can lead to a toxic runoff in huge amounts. When toxic chemicals are present in an industrial site or landfill, it only takes one heavy rain to start washing those chemicals away from the site and into the groundwater nearby. If there are creeks, ponds, lakes or rivers nearby, they may also be affected, especially if the contamination continues over a long period of time. Effects of toxic runoff on humans range from stomach upset to parasites and bacteria, and this may even cause cancer in some places. Toxic runoff can be prevented if landfills and industries are both more careful about practicing environmental safety when it comes to protecting the groundwater nearby. Animals: When animals drink water contaminated by toxic runoff, they are subjected to many of the same illnesses and bacteria as humans. If these animals include those that are later eaten by humans, illness and parasites can spread this way as well. Water: It may be completely impossible to remove all the contamination from water that is exposed to toxic runoff. In some situations, the water cannot be salvaged. Air/Atmosphere: It is uncommon for toxic runoff to cause air pollution, but in some instances, it may, especially where toxic chemicals have very harsh smells. It’s no secret that oil spills are a frequent cause of water contamination and pollution. You’ve probably heard a lot about the damage that takes place in the ocean when massive oil freighters or drills fail and leave spills in the water, but did you know that smaller-scale oil spills happen much more frequently in freshwater sources around the country? Anytime oil and gas are stored or transported, the potential for oil spills increases significantly. One accident could leave a truck overturned and leaking into a wetland, and this is unfortunately not all that uncommon. Oil spills can be remedied by turning to cleaner and safer sources of fuel, and they can be cut back on by using safer modes of storage and transportation. Animals: Animals suffer greatly from oil spills. Fish and mammals living in an area where a spill is present may be choked out completely from lack of access to fresh water. Oil spills contribute to extinction in some species. Land and Plants: Plants and soil suffer much the same fate as animals when oil spills take place. It can take years for plant life to regrow after damage from an oil spill. Water: In some instances, oil may never be able to be removed from the water. The Deepwater Horizon spill eventually moved from the ocean into wetlands and was never cleaned up. Air/Atmosphere: Very large oil spills may cause air pollution that can further affect both animals and humans in the area. Algae is an important part of any water ecosystem. However, when algae growth gets out of control, problems very quickly arise. If you’ve ever had a fish tank at home, you’ve possibly seen the effects of algae overgrowth, and you might have added a few “algae eaters” to your tank to combat the problem. While these creatures also exist in nature, sometimes the algae growth gets too out of control for nature to be able to fix. This is often caused by nutrients in the water becoming too prevalent and upsetting the balance of the ecosystem. For example, when water is treated too heavily with fluoride, this nutrient overload can quickly lead to algae taking over. Treating water with other chemicals is a good way to reduce the risk of algae, but it can quickly come back to be a problem all over again if water treatment isn’t very carefully maintained over time. Animals: When algae blooms grow too heavily in a body of water, the fish that live there quickly suffocate and die. Some animals may also die from drinking water that is heavily contaminated with algae. Land and Plants: Algae may eventually choke out plant life, especially in wetlands, and take over much like a weed. Water: It may be very difficult to ever remove an overabundance of algae from a water source, and it will require even more chemical treatment that may cause problems in the long run. Air/Atmosphere: Algae does not affect air pollution. Acid rain refers to a couple of different situations that both result in the same outcome. One of these situations involves very highly polluted water. When water is seriously polluted, it slowly evaporates into the atmosphere and leads to chemicals being picked up in the rain and dropped again elsewhere. However, the same thing can happen when the air is heavily polluted, especially in large cities or near sources of nuclear power. In these places, chemicals are drawn up into the atmosphere and carried, sometimes for miles, before being released once again as rain. Whichever way it happens, acid rain can cause damage to humans, property, and the environment. Animals: Acid rain may physically harm animals in very severe instances, and it may also lead to the destruction of animal habitats. It may also cause damage to human property, including stripping paint from vehicles and weakening roofs on homes. Land and Plants: Plants are seriously damaged by acid rain. They will die quickly in areas where this event occurs. Water: Water polluted by toxins continues to create more acid rain, which in turn creates more pollution. Air/Atmosphere: The air and atmosphere are seriously polluted when acid rain takes place. One of the biggest ways in which water pollution damages the environment is by contributing to the spread of infectious disease. This is one of the many outcomes of sewage water pollution and its environmental effects. Contaminated water quickly becomes a breeding ground for bacteria, parasites, and more that lead to disease almost immediately. This type of contamination can come from just about any source of water pollution, and it is one of the most common ways in which pollution affects humans in the United States as well as around the world. Up to seven million people in the United States alone get sick from drinking polluted water every year, and these illnesses can range from digestive disorders to cancer and more. Animals: Some animals can also become infected with certain types of disease and illness that may also affect humans. They are also very prone to picking up parasites from contaminated water, which they can then spread to humans. Land and Plants: Plants and soil aren’t often directly affected by these illnesses, but they may still become contaminated, especially with such diseases as e. Coli, listeria, and salmonella. Water: Infected water must be very well treated before it is safe to drink. These diseases are some of the many effects of sewage water pollution, which must be treated even further when it occurs. Air/Atmosphere: Infectious disease doesn’t cause atmospheric contamination, but many may be spread by air. 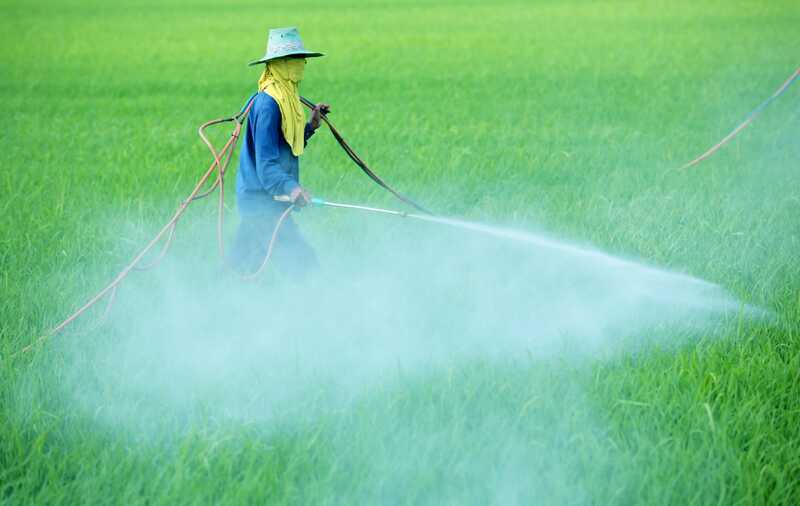 Pesticides are used frequently in agricultural practices, as well as in residential communities. These pesticides are used with the good intention of keeping crops safe from harmful insects and other creatures that might cause them to fail. However, they are also very strong chemicals that quickly wash into groundwater and surface water, leading to serious pollution effects. When humans drink water polluted with pesticides, it can lead to cancer as well as developmental issues in children. It may also cause kidney and liver damage over time. This can be avoided by turning to environmentally-friendly ways to fight pests, such as using natural predators to keep them at bay. Animals: Animals may be directly affected by drinking water or eating food contaminated with pesticides. They may be poisoned and die easily when this happens. Land and Plants: The soil eventually suffers from overuse of pesticides, and may become infertile in some locations. Water: It can be very difficult to filter pesticides from water sources. These water sources continue to spread illness over long periods of time. Air/Atmosphere: Some pesticide chemicals may be spread through the air, causing respiratory issues in humans and animals. While it’s true that most types of garbage dumped in and around water eventually lead to toxic runoff, there are other, more direct ways that trash in water sources can lead to damage to the environment. When large pieces of debris are present, especially in the ocean, the safety and health of the animals that live there are endangered. Many ocean creatures may swallow pieces of garbage and die from internal damage. If they don’t die, they may carry the garbage in their bodies for a long time, and if they happen to be fish caught for human consumption, this could affect humans as well. Animals: Animals suffer the most from this type of pollution. Not just in the ocean, freshwater creatures can also be injured or killed by being trapped by garbage or eating trash dumped in the water. Land and Plants: Large pieces of debris can cause damage to plant life, especially in freshwater sources. Water: The water may remain dirty for years without human intervention to clean it up when trash is dumped there. Air/Atmosphere: Trash in the water doesn’t lead to air pollution. Did you know that temperature can even be a type of pollution? In places where factories are present, industrial operations often lead to an increase in water temperatures in surrounding sources of freshwater. This may be imperceptible to humans, especially if it takes place slowly over a long period of time, but it can cause serious problems for animals and plants. Animals: Increased heat can cause fish to overpopulate, thinking it’s time to spawn over again. However, it can also kill fish that are used to cooler temperatures. Oxygen in the water may be seriously limited by high temperatures. Land and Plants: Plants may eventually be choked out from a lack of oxygen in the water. Water: Water temperatures may never be able to be restored to normal again, depending on the source of the thermal pollution. Air/Atmosphere: Factories can sometimes also lead to atmospheric pollution that will, in turn, raise the temperature in the atmosphere as well. As in the case of industries, mining can easily lead to toxic runoff that pollutes groundwater and surface water. However, the results are slightly different. When mining pollutes water, it usually causes the acidity in the water to rise, which can lead to a complete upset in an ecosystem. If humans drink this water, they may become very sick, depending on how acidic the water has grown. Safer and more environmentally-conscious mining practices must be instated in order to avoid this type of pollution. Animals: Animals die quickly when they drink water that is much too acidic. Fish are choked out in large numbers by these effects on water. Land and Plants: Plants cannot grow in areas where water is too acidic for them to absorb. While they may try for a while, eventually they will grow too weak to continue thriving in the environment. Water: Water may be very difficult to return to its previous level of acidity, especially if mining is still taking place. Air/Atmosphere: Mining may lead to some air pollution as well. Areas where nuclear power plants are present may experience radioactivity pollution in their water sources. It may sound terrifying to imagine drinking water that is radioactive, but unfortunately, many people do this every day without realizing it. Drinking radioactive water can lead to many types of cancer, and it can lead to serious birth defects in unborn children as well. These genetic issues may be passed on to future generations, especially if the area remains contaminated by waste from these plants. Animals: Animals in areas where radioactive waste is present suffer genetic mutations and die much more quickly than they should. Fish that swim in water contaminated by radon are contaminated and die quickly. They should never be consumed. Land and Plants: The soil quickly becomes infertile in radioactively polluted areas, and it cannot sustain plant life. Plants may continue to grow but will be damaged and weak. Water: Radioactive water may be impossible to clean. This water is very unsafe to come into contact with. Air/Atmosphere: These chemicals can and are often absorbed into the atmosphere and lead to acid rain and air pollution. Inorganic chemicals are any chemicals that don’t naturally occur in water sources. They may be put there by dumping, factory processes, agricultural use, or any number of other causes not previously listed. Depending on the type of pollutant present, there may be dire consequences for humans, including nerve damage and poisoning of the nervous system. These pollutants may include ammonia, cyanide, and hydrogen sulfide, among others. Animals: Fish gills may be burned and damaged by the presence of these chemicals in water. Animals may become sick and poisoned in much the same way as humans. Land and Plants: Plants may be burned by ammonia overload and may be stunted by any of these chemicals present in their water supplies. Water: These chemicals can be filtered from water in some instances. Air/Atmosphere: Sometimes, these chemicals can evaporate and lead to air pollution. Organic minerals are present in nature in small amounts but may contaminate water supplies when human intervention exposes them more frequently to sources of water. Depending on the type of mineral present in water, it may lead to poisoning in humans, as well as to respiratory and circulatory dysfunction, birth defects, cancer, and nervous system damage. These pollutants may include arsenic, lead, iron, and more. Animals: Animals may suffer many of the same issues as humans, depending on the type of pollution present. Land and Plants: Plants may die or otherwise become sickly from exposure to these minerals. Farm crops cannot thrive in areas where this pollution is present. Water: Some of these naturally occurring minerals may be able to be filtered from water at low to medium levels. Air/Atmosphere: These pollutants do not lead to air or atmospheric pollution. Now that you’ve read through this article, you can see the ecological effects of water pollution are vast and many. You’ve been able to learn about the effects of industrial water pollution as well as many other types of pollution that lead to disease, illness, injury and more in humans, animals, plants, and even in the atmosphere. You’ve explored thirteen of the most common ways in which water pollution leaves its mark on the environment, and you should be better informed about the matter in terms of how it affects you and the world around you. So what can you do about it now? If you’re so inclined, you might want to take some steps to be sure that water pollution never gets this bad where you live. Contact your city or county water treatment facility to find out about pollutants in your water supply, and reach out to factories, farms, and more in your area to encourage them to use more environmentally-friendly practices. Dirty water can cause a lot of problems, but clean water doesn’t have to be a dream when you take steps toward improving the quality of water where you live.